A brilliant stakes-winner at Flemington in March, I am Invincible filly She’s So High was not beaten far in two subsequent runs in Group company and broke through at Group Three level with a stylish victory in the SAJC Proud Miss Stakes (1200m) in Adelaide on Saturday. Prepared by Mick Price, She’s So High surged home from back in the field to score a length win in the 1200 metre sprint as favourite. 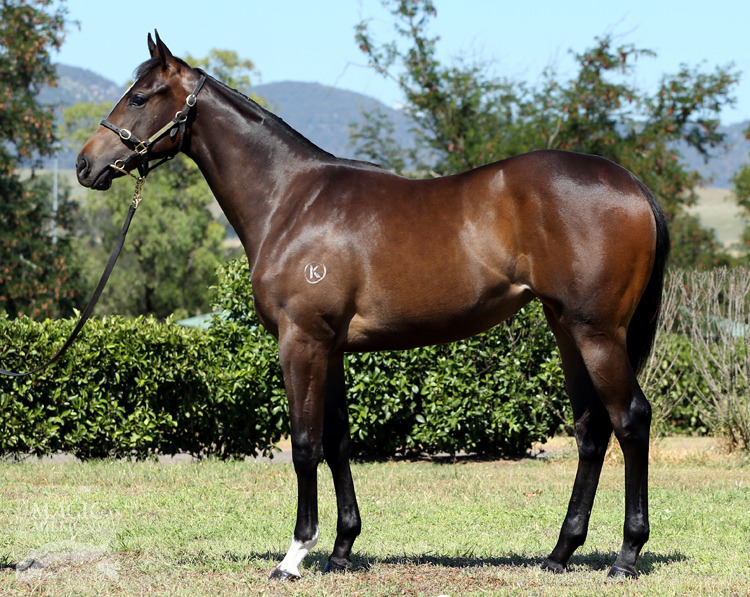 A $120,000 Magic Millions purchase from the Amarina Farm draft by Blueblood Thoroughbreds, She’s So High was bred by Kambula Stud and was originally sold by them at the Magic Millions National Weanling Sale for $65,000. She is a half-sister to Group Three placed Bangs and is the second winner from minor winning Exceed and Excel mare High Achiever. High Achiever was anything but that as a racehorse, scoring one win from five starts, although her pedigree suggests there is more to come as she is a grand-daughter of Announce, who is also the grand-dam of high flying siblings Shooting to Win and Deep Field. High Achiever was covered last season by Widden Stud’s young first season horse Stratum Star.